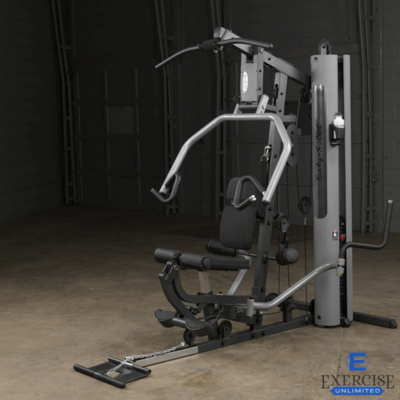 The Inspire Fitness M5 Multi Gym is a versatile, all-inclusive, 2-stack piece that suits both home and commercial gyms. 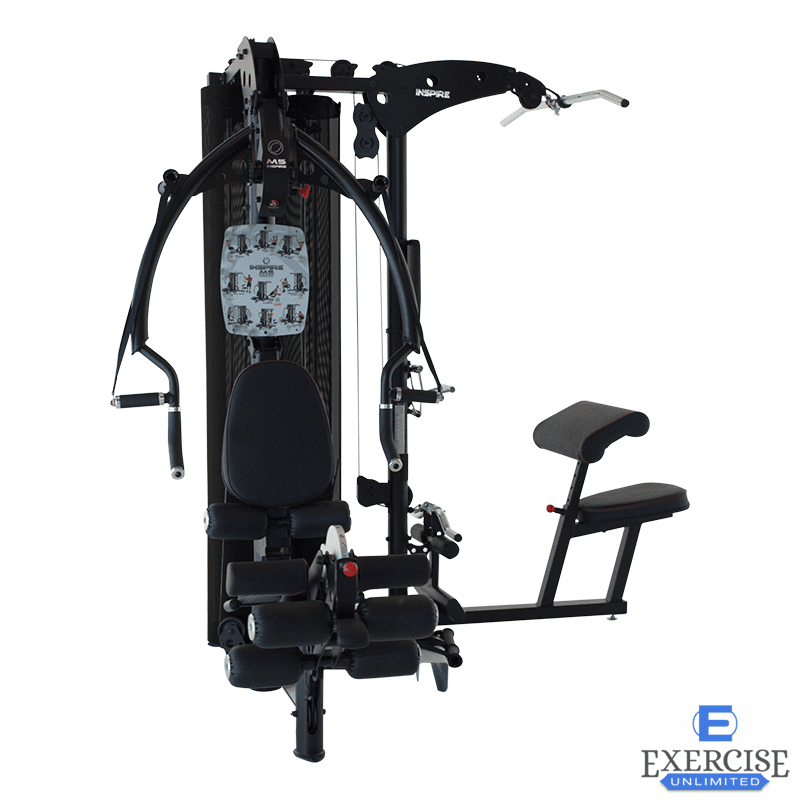 Built with a unique combination of fixed exercises and free motion movements, the M5 can work both big and small muscle groups. 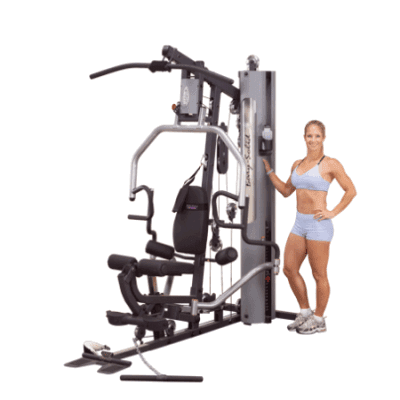 Whether you are looking for the best multi-gym station for your home or a great multi-station gym for your commercial facility, the Inspire Fitness M5 Multi Home Gym has everything you need! 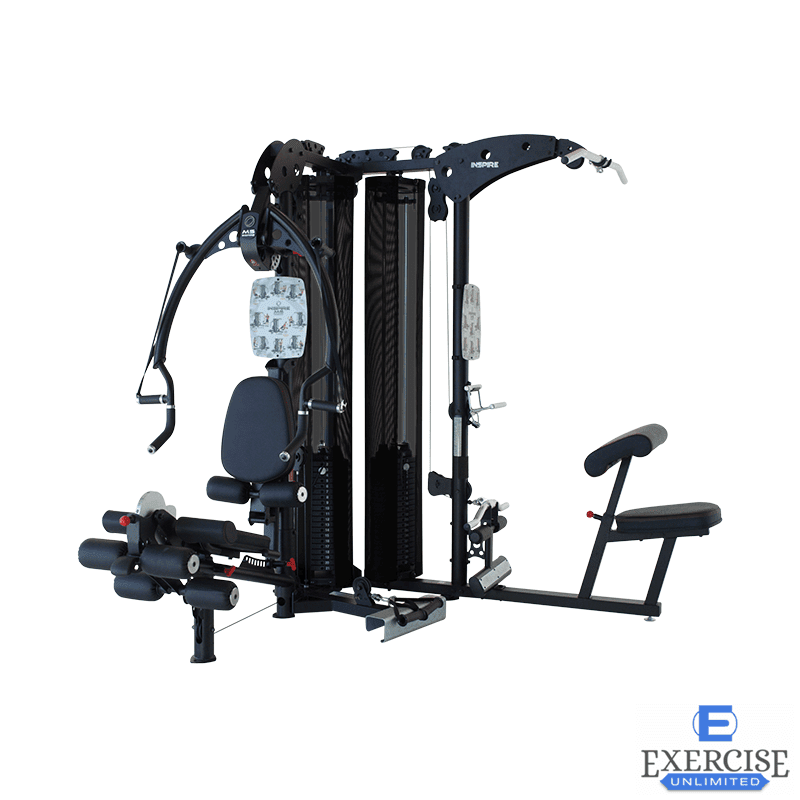 It’s unique press arm offers both fixed pressing exercises, as well as, free motion movements. 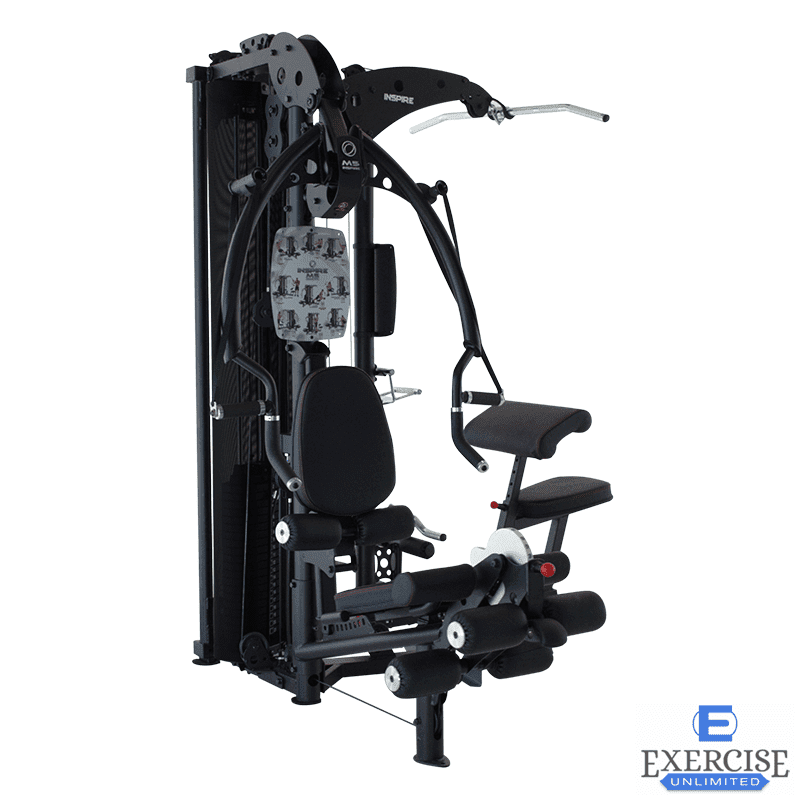 This is important because fixed pressing exercises help develop size and strength, while free motion movements improve mobility and coordination. 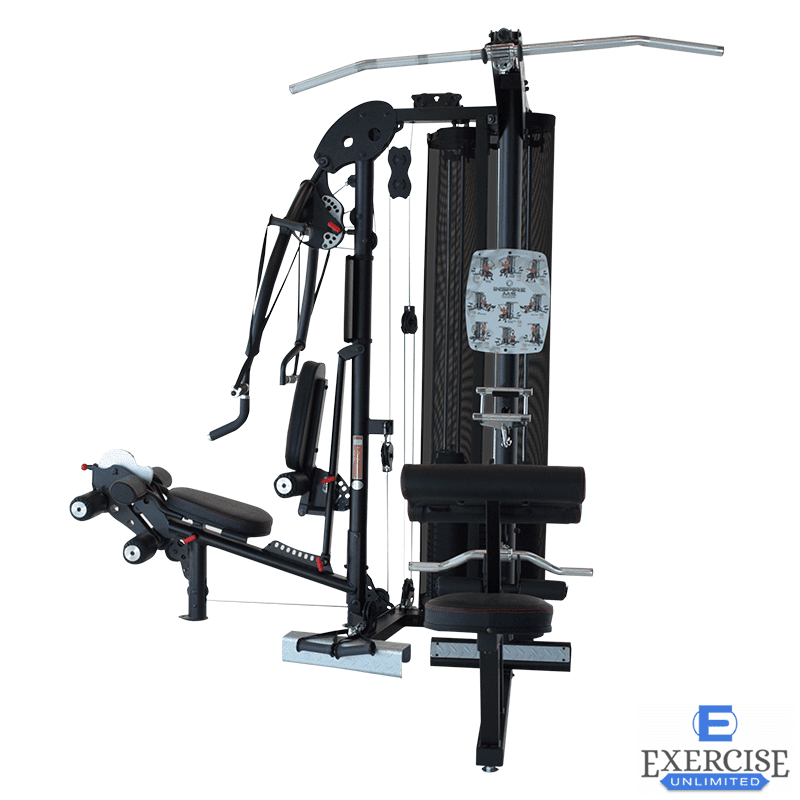 Also featured with the Inspire Fitness M5 Multi Home Gym is the seated leg curl station for shaping glutes and strengthening hamstring muscles. A patented dual back pad tilt for superior fit and comfort is also standard. In it’s construction, it features 11 gauge steel for it’s frame, nylon pulleys (not plastic), 2000lb. tensile strength cables, and precision ball bearings in it’s press arm pivot. 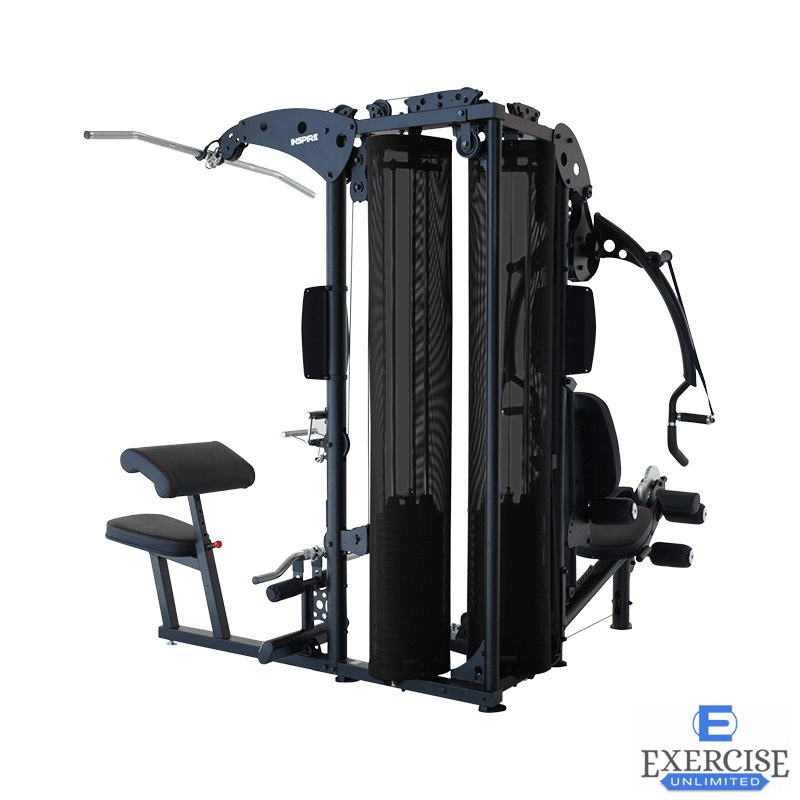 Along with the two tone high gloss paint and orthopedic pads, the Inspire Fitness M5 Multi Home Gym is not only high functional, but it’s an eye-catching addition to any home or commercial gym. • Orthopedic pads provide exceptional comfort. 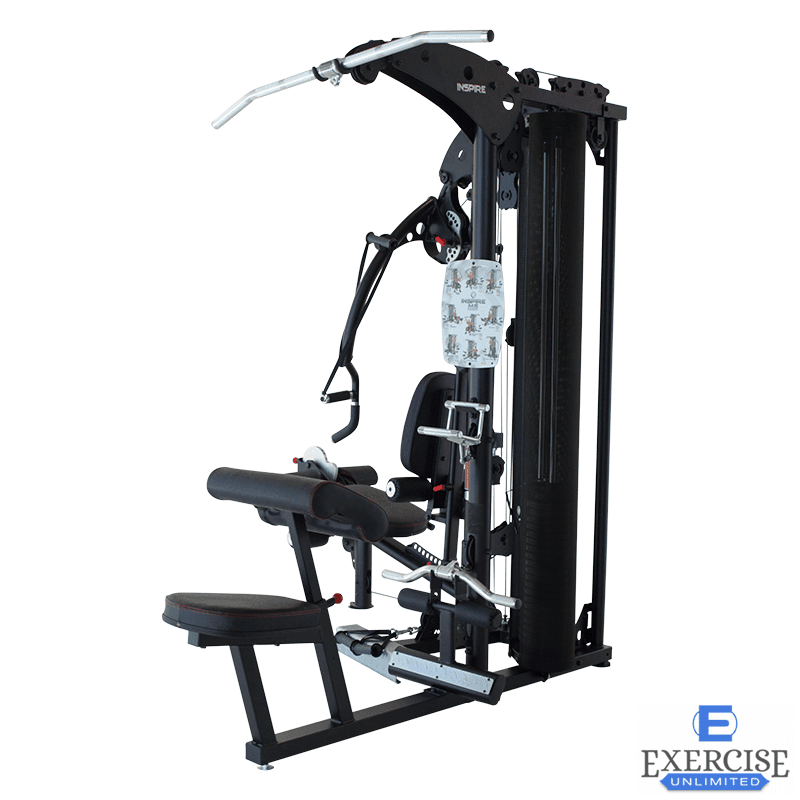 • “Hybrid” fixed and functional training. • Space saving “L” shaped design. • Dual weight stacks for multiple users. 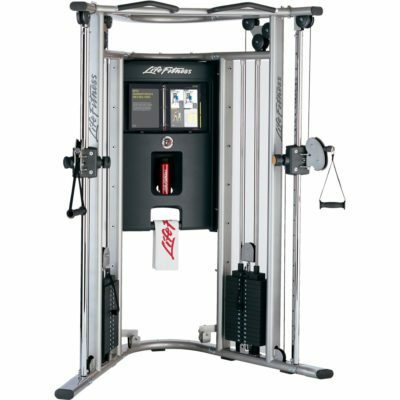 • Fixed and cable motion press station. 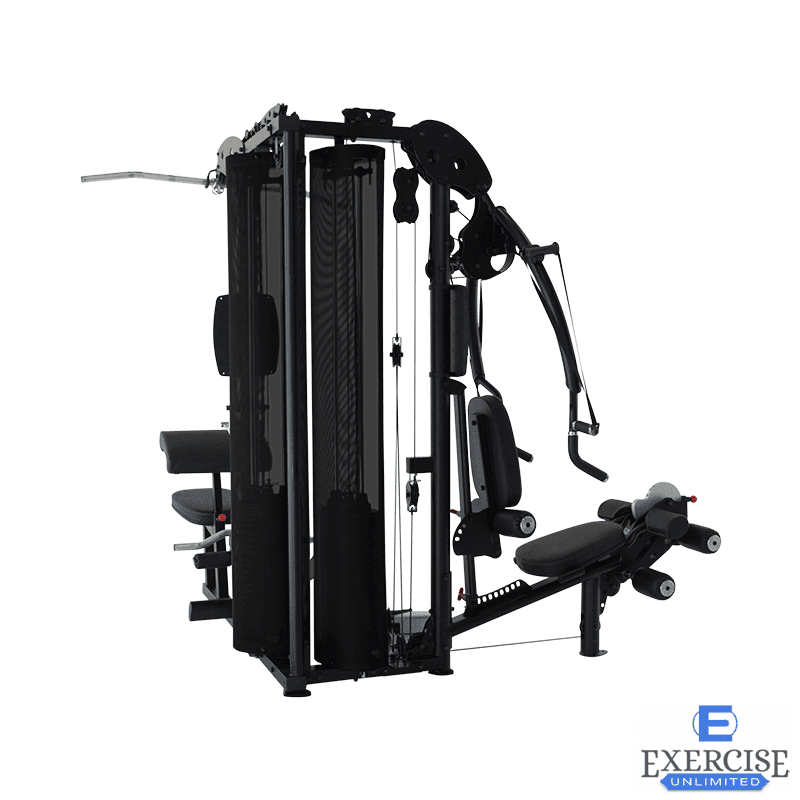 • Seated leg extension and curl. • Dual back pad adjustment. 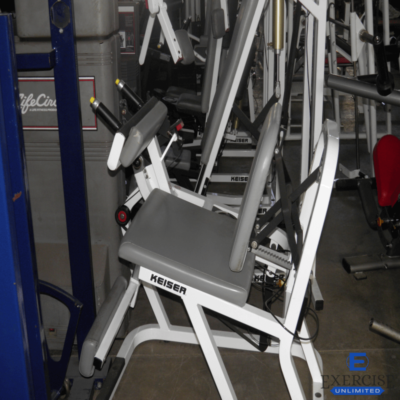 • Adjustable preacher curl station. 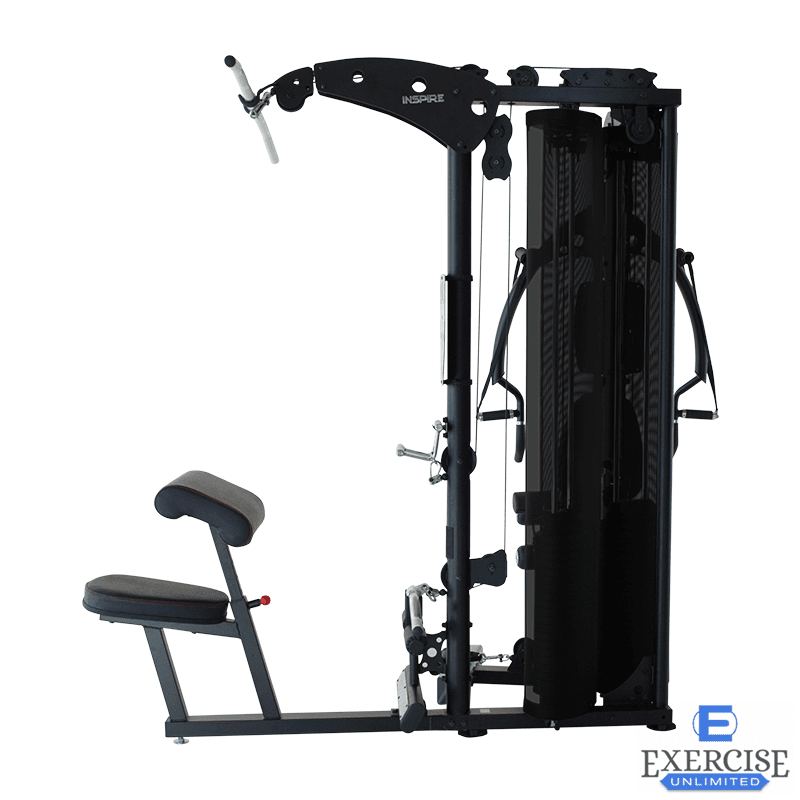 • Two exercise placards standard. Length 100” x Width 88” x Height 83.5” – 85”. 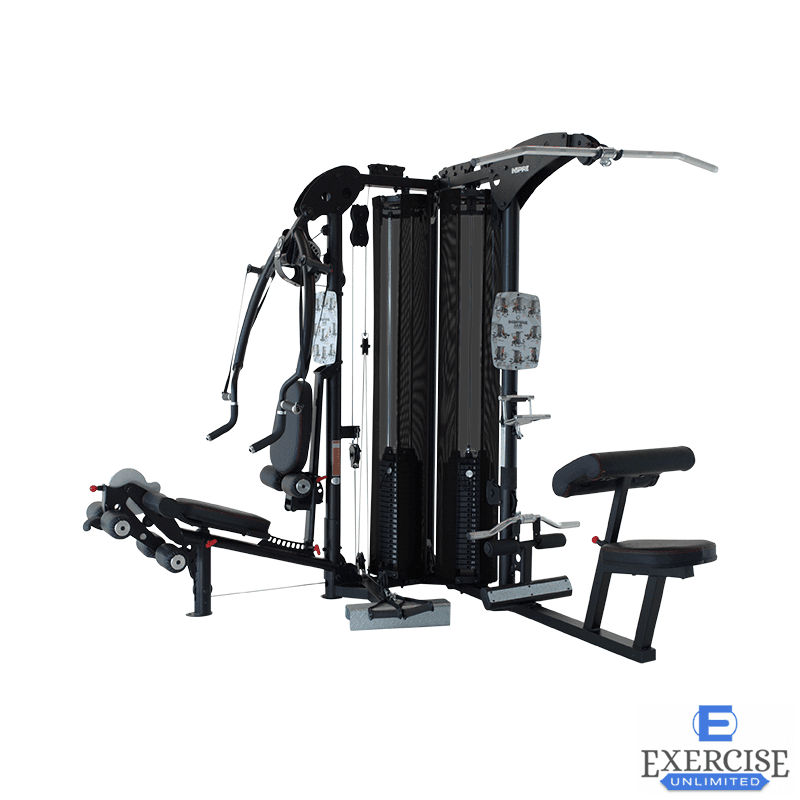 With Optional Leg Press: Length 116” x Width 88” x Height 83.5” – 85”.